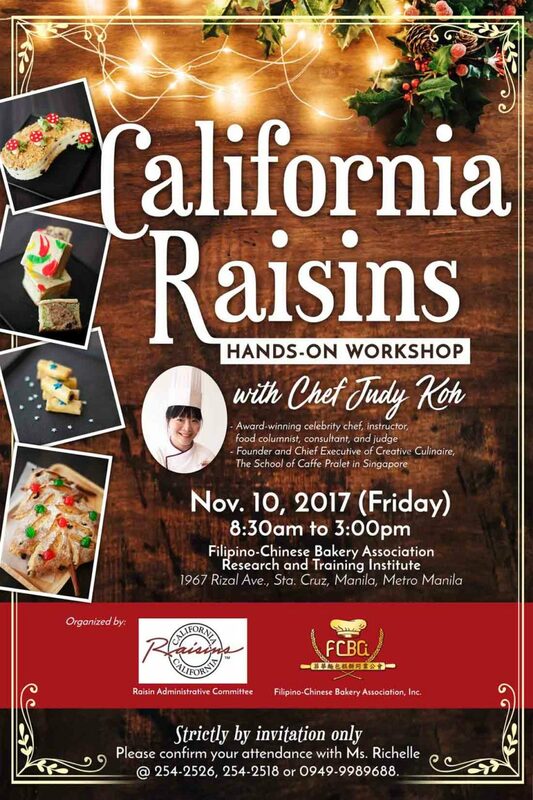 California Raisins Hands on Workshop – Filipino-Chinese Bakery Association Inc.
Join us for a California Raisins Hands-on Workshop with Chef Judy Koh. Chef Judy Koh is an award-winning, celebrity chef, instructor, food columnist, consultant and judge. She is also the founder and chief executive of Creative Culinaire, The School of Caffee Pralet in Singapore. This workshop will be held on Nov 10, 2019. 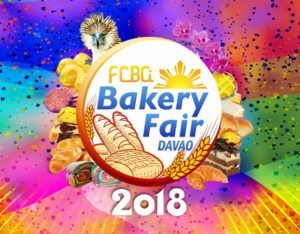 8:30am to 3:00pm. 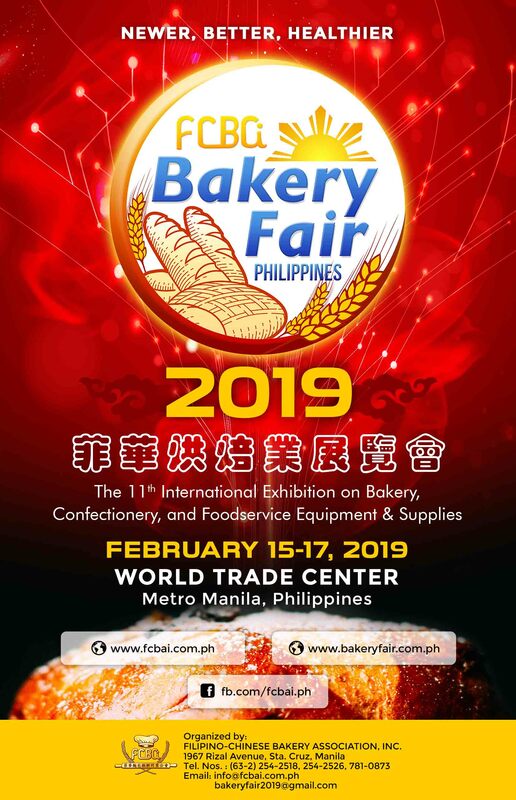 The venue will be at Filipino-Chinese Bakery Association Research and Training Institute. If you are interested to join, don’t forget to reserve your slot! To confirm your attendance, simply call us at 254-2526 or 254-2518. 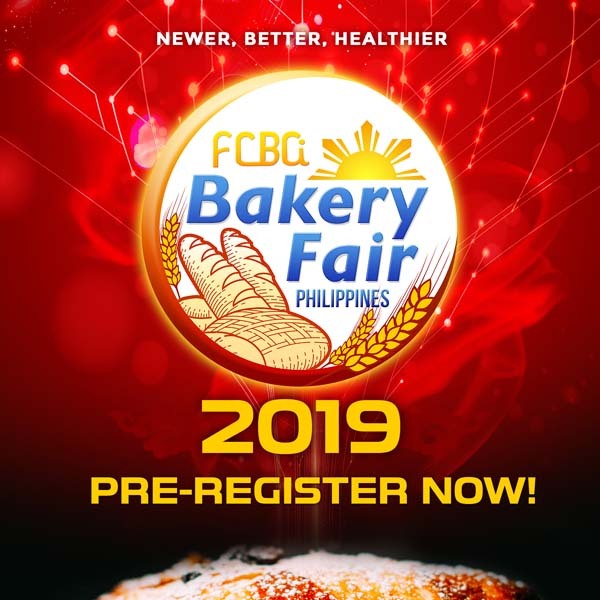 This event is organized by: Raising Administrative Committee and FCBAI.